Born: 10 December 1873, Rotterdam, Netherlands. Johan M van Leenhoff junior (known as John in the English speaking world) was the son of Johan van Leenhoff, a publisher of Rotterdam. He was educated in the Netherlands, Germany and France and was awarded the certificate of the Ecole d'application des Tabacs (Government Tobacco School), Paris. On 7 January 1899 he was appointed as tobacco expert in the Department of Agriculture of Natal. During 1899 and 1900 he published various notes and articles on the cultivation, pests, and manufacture of tobacco in the Natal Agricultural Journal (Vols 2 and 3). Subsequently he worked as government tobacco expert in Mayag?ez, Puerto Rico, and in Washington, United States. He published Tobacco investigations in Porto Rico during 1903-4 as Bulletin No. 5 of the Puerto Rico agricultural experiment station (Washington, 1905, 44p, with a separate edition in Spanish) and read papers on tobacco cultivation and related subjects before societies in Cuba and the United States. 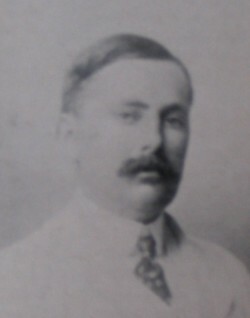 In March 1906 van Leenhoff was appointed government tobacco expert, and chief of the newly created Division of Tobacco Industry, in the Department of Agriculture of the Transvaal Colony. During the next few years he published thirteen notes on various topics related to tobacco farming in the Transvaal Agricultural Journal (1906/7-1908/9, Vol. 5-7). The topics included "Notes for the guidance of farmers sending tobacco plants or leaves for examination", "A few tobacco diseases found in the Transvaal", "Preparing tobacco lands", "The character of the nicotianae and their classification", and "Tobacco experiment stations". He left the civil service in 1909 or 1910. Van Leenhoff listed his hobbies as farming and literature. Natal [Colony]. Civil service list, 1899. Natal Agricultural Journal, 1899-1901, Vol. 2-3. National Automated Archival Information Retrieval System (NAAIRS). . Documents relating to Van Leenhoff, J.M. / Van Leenhoff, J.
Transvaal Agricultural Journal, 1906/7-1908/9, Vol. 5-7.